MADRID (Reuters) -- Car sales in Spain fell dramatically in the first two weeks of September following a hike in value-added tax, car retailers association Ganvam said. The number of cars sold dropped by 27.6 percent year-on-year to 12,300 units in the first two weeks of the month after the price of the average car rose by 650 euros on Sept. 1, Ganvam said. Spain's cash-strapped government increased VAT on most items to 21 percent as of September as part of a drive to slash 65 billion euros ($82 billion) from the public deficit by the end of 2014. "These figures confirm our fears that the crisis in the sector is becoming more severe," Ganvam President Juan Antonio Sanchez said on Monday. "If you increase taxes in a market paralyzed by lack of financing, declining consumption and uncertainty about the future, it's inevitable that demand will fall even further," he said. 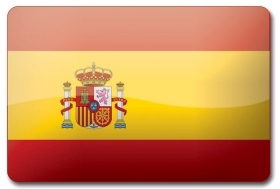 Spain's car sales fell 17.2 percent in July, the 24th monthly decline, but increased 3.4 percent in August as consumers brought forward big purchases to avoid paying more VAT in September. Spain is experiencing its second recession in three years and consumer confidence has plummeted to record lows. Retail sales in the country have been on the decline for more than two years straight. Ganvam said although some car firms have absorbed the VAT increase, the tax hike still has a psychological effect on consumption.